There’s no place like home. That sentiment bears a lot of relevance for F1™ drivers and their home circuits. This weekend, the extravaganza that is Formula 1™ racing pulls into Silverstone as the British GP is the main attraction. For Lewis Hamilton, it offers a chance to create history this weekend. On Sunday, he will attempt to equal Nigel Mansell's British record of four F1 wins at the circuit. Perhaps it’s national pride, the idea of disappointing your fellow countrymen, an alliance to what you belong – whatever it may be, it seems, upon dissection, that F1 drivers flourish while steering their way around a home circuit. Patriotism. Since 1983, 48 drivers have won on their home track. While that timeframe covers over thirty years, only 7 countries have been represented in that time – powerhouses of F1. Over that period, just 20 countries have appeared on the Formula 1 calendar, including new additions such as Azerbaijan (Baku) and Bahrain. The most successful driver on home soil was the imperious Michael Schumacher. 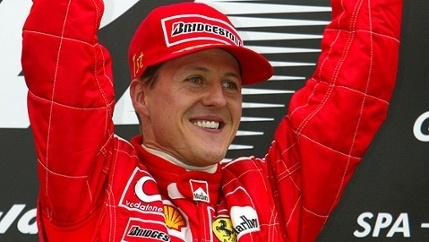 Schumacher, a seven-time world champion, drove to victory an incredible ten times on German tracks. At the Nurburgring, home of the European GP from 1999 – 2007, Schumacher won on six occasions. His brother Ralf, also won there in 2003. Schumacher, Michael that is, also took the checkered flag four time at Hockenheimring from 1995 – 2006. German efficiency at its finest. When arguing the success of drivers, it also must be noted that traditional racing countries, such as Germany, France, and Great Britain are often rewarded with staging races more so than others. However, giving the revolving schedule implemented by racing hierarchy, coupled with the world we live in today, experts foresee more countries and race tracks introduced in the coming years. One venue which has been a constant since 1973 is the Brazilian GP. A country that has produced a plethora of talent, 31 drivers from Brazil have driven in the Formula 1 during that time. Ayrton Senna, Brazil’s most famous son, won on home soil in the most dramatic of fashions in 1991, overcoming gearbox issues and sheer exhaustion to a rapturous response. He also won there in 1993. Nelson Piquet (1983, 1986) and Felipe Massa (2006, 2008) both deserve honorable mentions for delighting a partisan crowd at Interlagos. 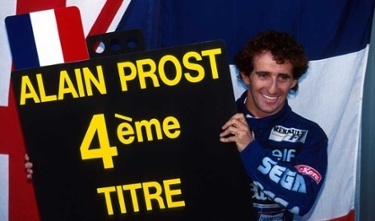 Senna’s greatest rival, the professor Alain Prost, won a remarkable six times at the French GP. Famously quoted for “fear of letting my countrymen down”, he also won on the streets of Monte Carlo on four occasions. A recurring theme you say? Most definitely. In more recent times, particularly given the dominance of such a small number of teams, we’ve seen this trend continued. Sebastien Vettel (German GP, 2013) Nico Rosberg (German GP, 2014) and Fernando Alonso (Spanish GP, 2013 & European GP, Valencia 2012) all became world champions in the process. And so to this weekend and the British GP at Silverstone. Hamilton enters the race as a heavy favorite as he looks to close in on a fourth world title. Since 1986, British drivers have been successful on twelve occasions. It would be naïve to suggest that driving on home soil allows you to forego rival advances, but, as the history books have taught us, it most certainly gives drivers an edge. Patriotism is alive and well, it seems. Embrace your American hero in Alexander Rossi, as he appears at our Legends Club this October at the US Grand Prix in Austin. 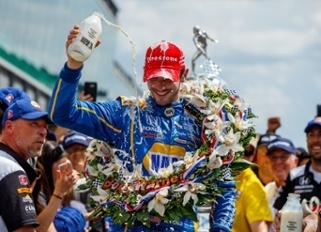 Rossi, at present the only American Formula One™ driver signed to a team, also shocked the world this year by winning the 100th edition of the Indy 500 as a rookie. The man himself will be on hand to meet and greet spectators at the Texas venue. By 2006 at 14 years of age, he’d become a multiple National and International Karting Champion and the youngest open wheel racing champion in United States history. Now nominated for the ESPY’s Best Driver award after his Indy 500 win with motor sports elite, the journey for Rossi to the top has been memorable.